Get instant savings by purchasing a Bogutovac vacation package. Just select your favorite options and let Expedia take care of the rest. With more than 400 partner airlines and 321,000 properties to select from on our extensive database, you won't have any trouble crafting your dream vacation. If you change your mind, you may cancel almost any reservation and you won't pay any extra fees to us. There are stacks of fantastic things you can do when you're somewhere new. So why not get your trip to Bogutovac off to a sensational start by taking a look at some of our top tips? After all – out there starts here! If you've ever hankered for the 'Eat, Pray, Love' experience, why not live out the 'pray' part at Studenica Monastery? Work on your spiritual growth and maybe even find yourself! Still have some time on your hands? You don't need to dress in long, flowing robes or even be spiritually minded to relish the calm that comes with spending time at Zica Monastery. Unfortunately, there are not many accommodations to pick from in Bogutovac. 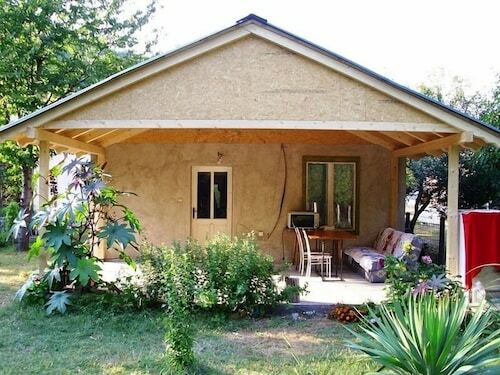 The Biosphere Reserve Hostel (Maksimovic, Bogutovac Bb) is the only Expedia-listed property in the vicinity. If you're flying in, you'll probably be heading for Pristina International Airport (PRN). Once you've grabbed your luggage and wandered out of terminal, central Bogutovac will be waiting 80 miles (129 km) away. 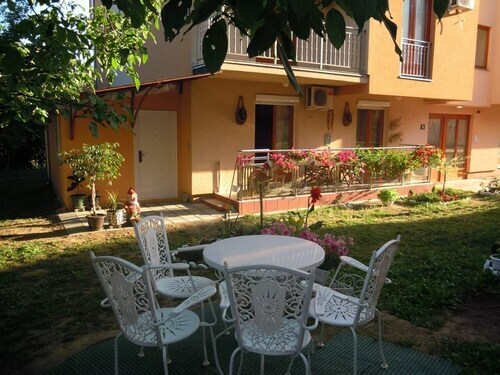 Located in Kraljevo, this family-friendly hostel is 11.1 mi (17.8 km) from Zica Monastery, and within 32 mi (52 km) of Borac Cacak Sports Complex and City Park. National Museum of Cacak and Studenica Monastery are also within 32 mi (52 km). 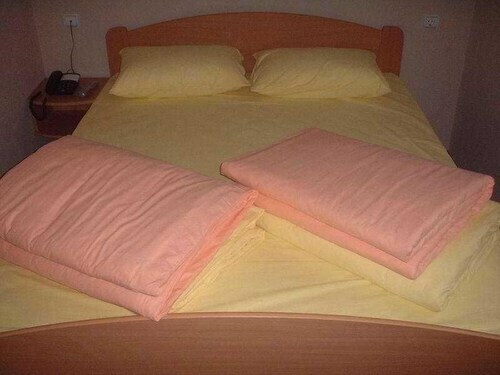 Situated in Vrnjacka Banja, this hotel is 19.2 mi (30.9 km) from Zica Monastery. 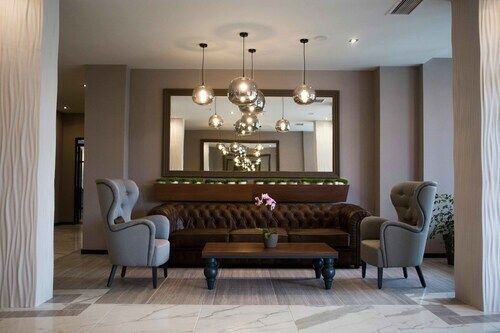 Situated in Kraljevo, this spa hotel is 3.4 mi (5.5 km) from Zica Monastery and within 25 mi (40 km) of Church of Saint Tsar Lazar and National Museum of Cacak. City Park and Borac Cacak Sports Complex are also within 25 mi (40 km). Kraljevo Station is 18 minutes by foot. Situated in Vrnjacka Banja, this hotel is 16.9 mi (27.3 km) from Zica Monastery. 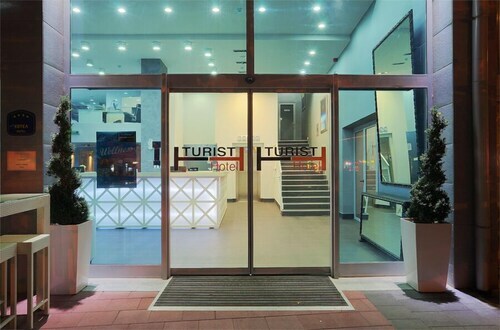 Situated in the suburbs, this hotel is 1.2 mi (2 km) from Zica Monastery and within 32 mi (52 km) of Church of Saint Tsar Lazar and National Museum of Cacak. City Park and Borac Cacak Sports Complex are also within 32 mi (52 km). Located in the heart of Vrnjacka Banja, this apartment building is 16.8 mi (27 km) from Zica Monastery. 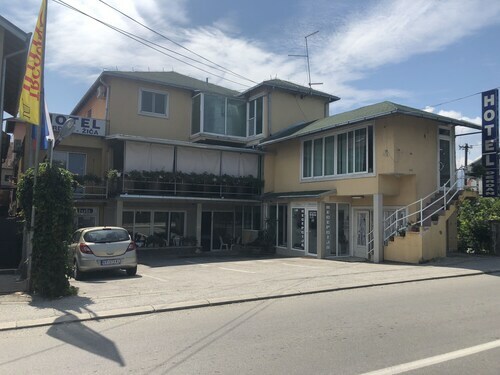 Situated in Kraljevo, this hotel is 0.9 mi (1.4 km) from Zica Monastery and within 32 mi (52 km) of Church of Saint Tsar Lazar and National Museum of Cacak. City Park and Borac Cacak Sports Complex are also within 32 mi (52 km). 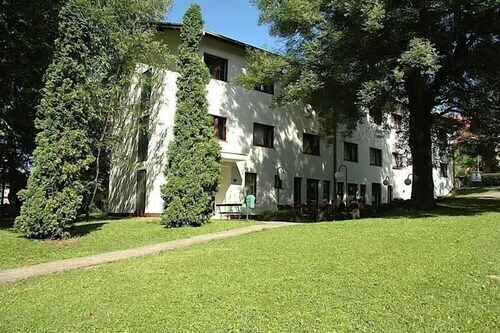 Situated in Vrnjacka Banja, this hotel is 17.1 mi (27.6 km) from Zica Monastery.